DLNA is a superb industry-wide standard for sharing the data over a home network , Depending on the DLNA-compatible devices you own , you can stream the films from your laptop to your TV , play an MP3 stored on your phone over your Wi-Fi system or print the photo from your tablet on your home printer . DLNA means Digital Living Network Alliance , It is created by a non-profit association of the electronics & computer manufacturers which was established in 2003 by Sony , to promote the exchange of files , such as the photos or videos , between the smartphones , televisions , the laptops and the printers , over our home networks . We have seen these initials on some of the latest household gadgets , such as the hard disks , the smartphones , the desktop computers & television sets , DLNA helps exchange the multimedia content directly between compatible devices over a household Ethernet or Wi-Fi network . The electronic devices have to be compatible with DLNA to offer the possibility of playing an MP3 stored on your smartphone on your stereo system , or watching a video stored on your laptop on your television , Not all devices contain this technology & existing devices can’t be adapted . You need to have a DLNA server and a DLNA client to transmit content using this standard , You can play any multimedia file stored on the DLNA server using the DLNA client because of the wireless communication of your Wi-Fi or an Ethernet connection . DLNA is a ubiquitous symbol that has become synonymous with wireless connected devices , It is the standard of media home networking which is supposed to cross the platforms & the devices , It is attempt to synthesize something important across many digital platforms as possible . How does DLNA work ? There are two main types of DLNA products which are DLNA clients and DLNA servers , DLNA servers such as PCs or the networked storage device , You need one of each to stream content using DLNA , DLNA server is the device that stores and sends your movies , music & pictures , These servers may be storage devices , laptops or multimedia servers for the home . PCs running with Windows operating system already have DLNA incorporated into the system and the Windows Media Player can act as a media server which manages where the content is delivered & what content is accessible . If you want the file exchange over the home network to work , You need to have DLNA client , The DLNA clients are the devices on which the shared content is played such as SmartTVs , stereo systems or the printers . DLNA allows you to share the data over a home network such as videos , the photos or music on the compatible devices such as TVs , the laptops , the smartphones & the printers , DLNA offers interoperability guidelines to enable sharing of digital media between consumer devices such as the computers , the printers , the cameras , the cell phones and the other multimedia devices . 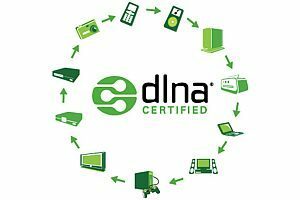 You know that DLNA is based on a widely used Universal Plug and Play (UPnP) platform for digital media management , file discovery and control , UPnP defines the types of devices that DLNA supports & the methods for accessing the media over the network , If you have the router in your home , you will be able to link DLNA-compliant products across your home network , If your router is wireless , You can do it all over Wi-Fi too . Video streaming websites have been around for a long time , They are very popular , The people like streaming video websites because the website server has to host the large video file while the user can access it with the smartphone or the tablet , Most mobile computing devices do not have the storage space to accommodate the video library and that is why the websites are convenient . When you want to watch videos on your computer but you are not at home , You are able to watch the high quality videos from your computer on any DLNA compatible device , If you are waiting to catch the plane , You can stream a video directly from your computer to your smartphone . You do not need to pay for the movies streaming service , You do not have to upload your video to a video hosting site & share it with the world , No complicated login procedures & no strange file management system to navigate , You can determine the accessibility of your videos & you can manage your files in a way that you want to manage them . Businesses utilize DLNA enabled video streaming to help their field staff & satellite offices to be more efficient , When the sales professional is getting ready to give a sales presentation , It would be a great help if he could access the presentation on his tablet & make the sale . When the sales people find themselves face to face with the potential client , They could use some marketing materials or the presentation , With this kind of streaming technology , The sales representative can access to the sales videos which will help them to bring more revenue . You can watch , share & stream your video without having to make DVD copies or take up storage space on your mobile computing device , While many devices work with DLNA , There is one important device that can left out of the decision-making process , which is the router , Without the proper router to handle the traffic , It doesn’t matter how fast or new your devices are . One of the drawbacks that you may run into when sharing the content between your household devices is the copyright restriction , The Digital Rights Management (DRM) is another stumbling block , DRM controls the way that the people can share the digital media to protect copyright . Some devices , despite being DLNA-certified , won’t share certain music or video files with the other devices due to DRM restrictions in place , If you’re a big user of Apple or Samsung products , you may be better served with their proprietary systems rather than DLNA if you want to share media files . However almost 250 manufacturers are part of the DLNA Alliance , Some brands offer their own take on home networking , while the others don’t support DLNA at all , The file formats can be a bit of an issue , Some DLNA devices may play MP4 video files or the popular DivX , but the device is being sent to be unable to recognize this particular file type . Some devices come with incompatibility but some multimedia servers like TVersity can solve this problem by encoding content on the fly , But this can be problematic to set up with such advanced settings .